Does your car make a weird grinding noise from the wheels while you're driving, or a knocking sound every time you turn your wheel? Does your car make a weird 'ticking' when cornering? Bizarre grinding noise when idling? Your vehicle will more often that not warn you of a underlying problem, if you take the time to listen. The Motor Industry Workshop Association (MIWA) says: "Many car owners drive in blissful ignorance of unusual sounds for fear of these being something major which will cost a fortune to repair." Cars can make a cacophony of sounds. While some sounds are harmless, others need immediate attention. 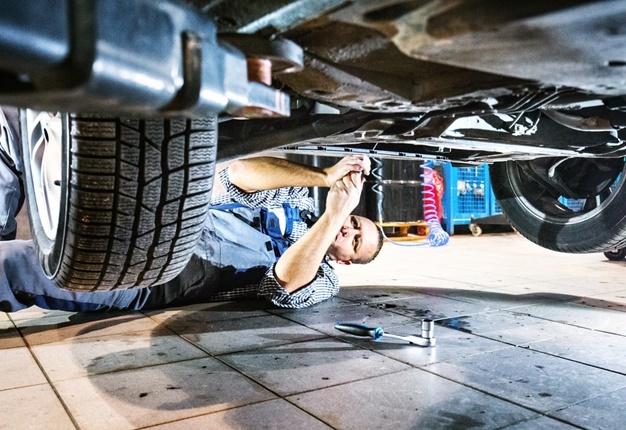 "Where on the car the sound is coming from can sometimes be deceiving as to what the actual problem is, but it is an important indicator of how soon you should consult a reputable workshop to check it out." Have you heard any strange sounds from your vehicle? What was the outcome? Share your story with us via Facebook, Twitter or email. This sound might not necessarily be your engine. It could be your front brakes. It's important to resolve the issue as soon as possible at a workshop/garage. 2. Any sound when turning a corner: This is likely to be connected to your steering column which could be damaged. 3. Grinding gears: The clutch is either worn or needs to be adjusted. It can also indicate a more serious problem with the transmission. 4. Knocking: If it’s a 'knocking' noise from deep within the engine, it’s usually not a good sign. It could be your rod bearings which are worn out or loose and on the verge of failure. Contact a workshop immediately and have the noise diagnosed. 5. A squealing sound when accelerate: You won’t miss this high-pitched noise and it’s more than likely your fan belt which is loose. It may also be worn through, in this case it would have to be replaced. 6. Hissing under the bonnet: You’d usually hear this when you switch the car off. It could be an oil or coolant that is leaking onto a heated engine part or the engine could be overheating. 7. Loud bang while driving: If your car is backfiring it means the air/fuel mixture is too rich or the catalytic converter isn’t doing its job. 8. Rattling under the car: Your exhaust system or brake pads could be loose. 9. Roaring as you accelerate: Check your exhaust system first as it could be damaged. Transmission issues could also be to blame. 10. Scraping and grinding when you brake: Your brake pads need to be replaced because they’re now metal on metal and every time you hit the brakes you’re doing damage to your car! MIWA: "So, cars are very much like humans, in general. They’re going to whine and moan and act up when something’s wrong. "Our best advice to car owners is don’t bury your head in the sand when your car is making a strange sound; get it checked out before it becomes a major headache. "Never use higher-octane fuel than is specified for your car, follow specifications for things like oil and tyre pressure and ensure your car is regularly serviced and maintained. If in doubt contact a MIWA workshop near you."